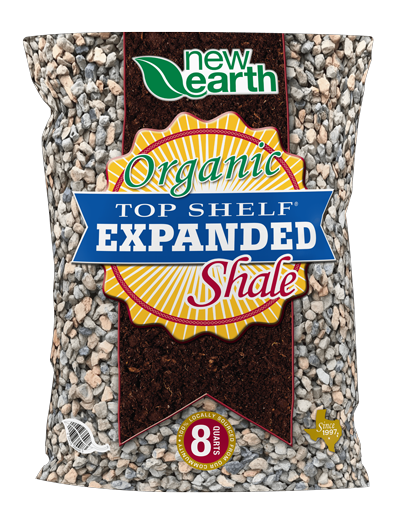 Top Shelf® Perlite is proud to be an OMRI® listed organic product. Top Shelf® Perlite is a soil amendment that promotes better soil quality for potted and yard plants. Top Shelf® Perlite improves drainage and prevents soil compaction. Top Shelf® Perlite is best used with potted plants and as a seed starter. Mix 1-part Top Shelf® Perlite with 3-parts Top Shelf® Potting Soil for a perfect potting mix. Combine equal parts Top Shelf® Perlite and Top Shelf® Peat Moss to create a perfect seed starting mixture.